When you need a one-step solution to test for 5 drugs at once, the MD DrugScreen 5 Panel Drug Test Cup with Adulterants is a great option. This easy to use drug test cup will give results in five minutes, is priced to meet your budget and 99% accurate. With FDA approval, this 5 panel urine drug test includes an adulterant validation test to ensure the integrity of the tested urine sample is sound. MDC-245AD tests for cocaine, marijuana, opiates, amphetamines and methamphetamines. MDC-654AD tests for cocaine, marijuana, opiates, methamphetamines and benzodiazepines. MDC-354AD tests for cocaine, marijuana, opiates, methamphetamines and oxycodone. Ensuring accurate results is incredibly important when testing potential job candidates for drug use. With the attached adulterant function, the MD DrugScreen 5 Panel Drug Test can detect for common substances used to mask the use of drugs, including eye drops, table salt, household vinegar, concentrated lemon juice, liquid laundry detergent, diluted urine and goldenseal tea. 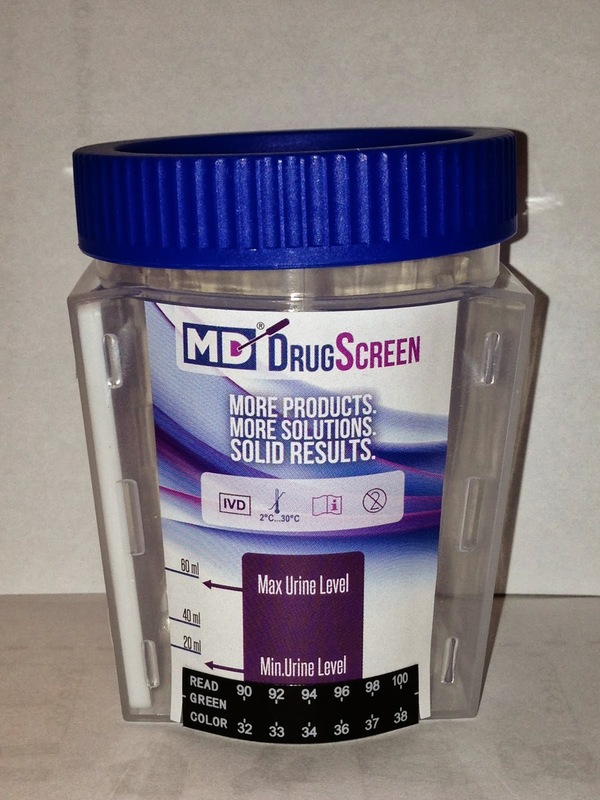 The MD DrugScreen 5 Panel Drug Test makes testing for a plethora of drugs quick and simple. The test will provide accurate results in minutes, and can be performed by just about anyone, saving you money on administration and laboratory costs. The cups are specially designed to avoid any spillage, and feature a flat results panel for easy scanning or photocopying. Also, this 5 panel drug testing method offers an extended shelf life of 16-24 months, providing you with the option to stock up and save even more. Shipping is incredibly fast – orders usually go out in 24 hours and you can always trust that if you have any questions from Medical Disposables, the customer service will be top notch. This product will be available the end of November 2013.